Make your visit even better with our add-on packages. As you create your reservation under “Additional Information”, request package by name. Select off-line payment and we’ll respond according and follow-up with an invoice. 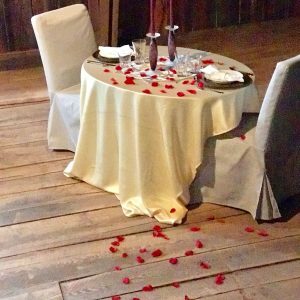 This package is about an enchanting evening with private three-course dinner in any of the romantic setting on our beautiful property. 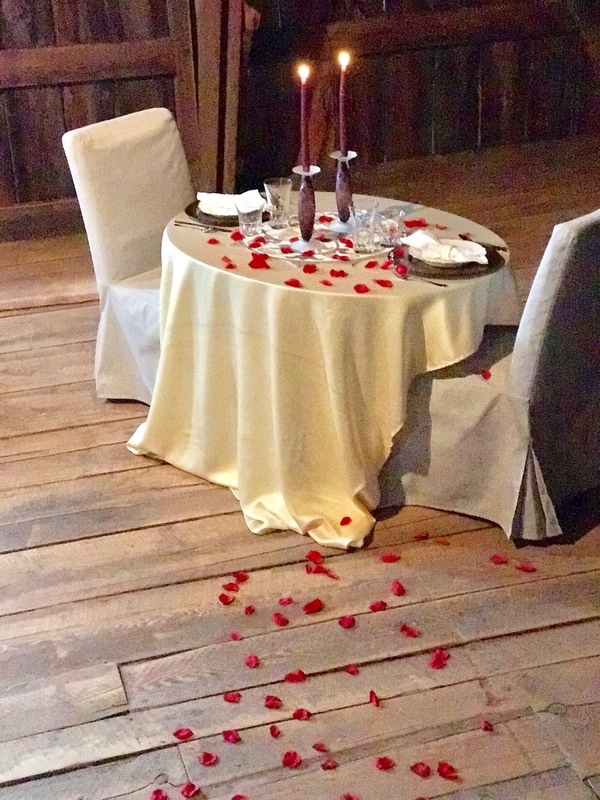 A rose petal pathway leading to our gazebo located in our perennial garden with a running stream and pond for ambiance or to our blue majestic rustic barn where a candle lit intimate table for two awaits you. Perfect for an engagement proposal, wedding anniversary or for that special someone you’d like to show how much you love. Includes a one-night accommodation in one of our queen suites, rose petal turn down service and waking up the next morning with breakfast served in our dining room. Please contact use directly with question regarding our seasonal menu. This package is perfect any day this summer or fall for early check in staying for two nights at our Bed and Breakfast. 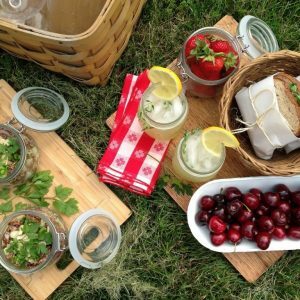 Come in and drop off your bags and head out with one of our picnic basket filled with fresh homemade bread sandwiches, pasta dishes filled with fresh vegetables and fruits from our garden for you to enjoy. Whether you head down to the state park, set up a blanket on the beach, or embark on a long hike. 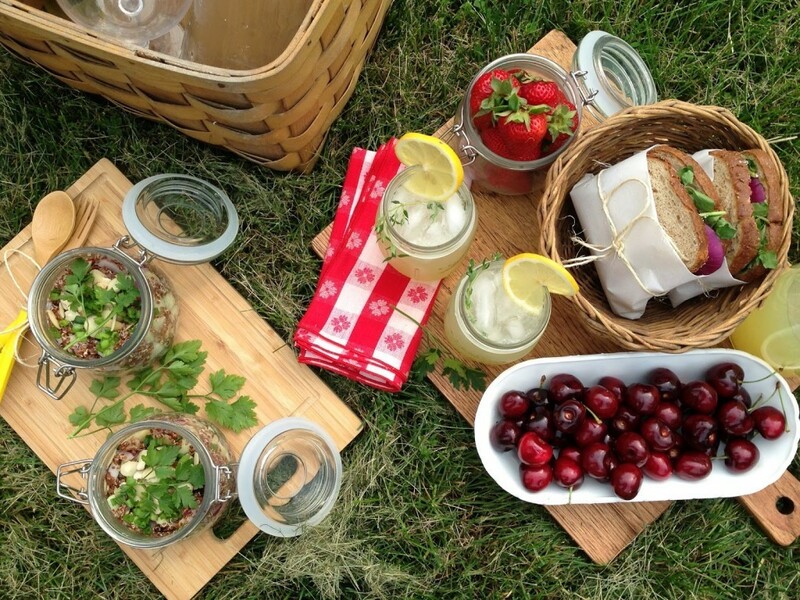 Our picnic basket is outfitted with all the necessary essentials for a perfect picturesque meal. This package includes breakfast in the mornings with a two-night stay in one of our queen suites. Please contact us directly with question regarding seasonal menu. Come enjoy tranquil surroundings on spacious grounds, where the breakfast is always hearty and porch rockers are waiting. At Black Creek Farm, we cater to people who want a breath of fresh air and a chance to get away. 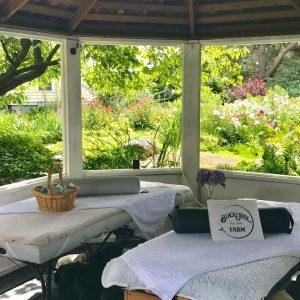 Unwind with a loved one side-by-side and treat yourselves to a couple’s massage provided by certified masseuses. This services for two is perfect for couples who need some uninterrupted quality time, moms & daughters or for busy best friends who want to catch up! 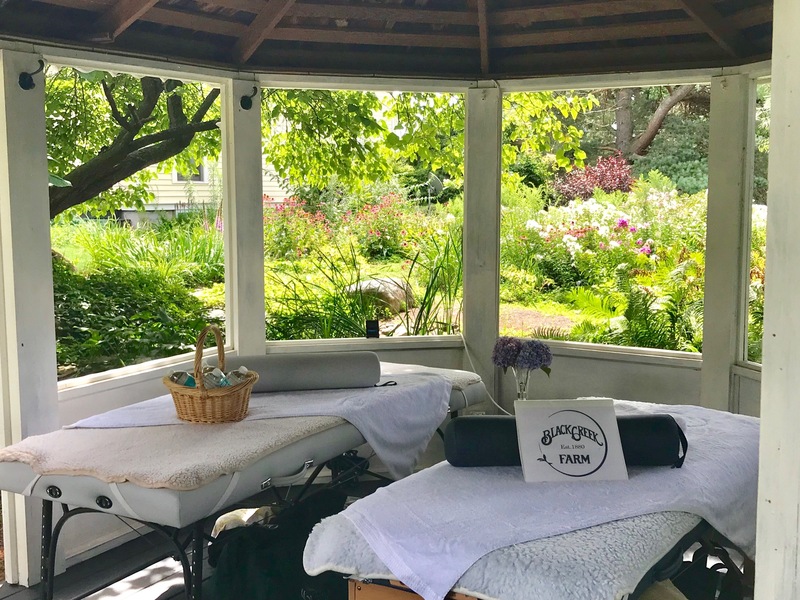 These massages are available in our on-site studio but can easily be relocated to our backyard gazebo in our perennials garden as the running stream in the background trickles away the stress. This package also includes breakfast in the morning with a one-night stay in one of our queen suites. Pricing: $300, for lodging and one hour couples massage. 5-7 days notice required.